After completing a degree in Media Studies, Peter joined the Navy where he trained as a Seaman Officer and Naval Police Officer. He led 100 bush fire fighters in the Blue Mountains in 1993 and coordinated the media liaison for the Navy for the Tony Bullimore rescue. He was the Australian Naval Commander’s Media Advisor during the 2003 Gulf War and later in Baghdad was the Coalition Media Director. He was the Manager of Media and Strategy at QLD’s then Department of Emergency Services managing all media liaison for Queensland Fire and Rescue Service and Emergency Management Queensland including coordinating all media liaison for Cyclone Larry. 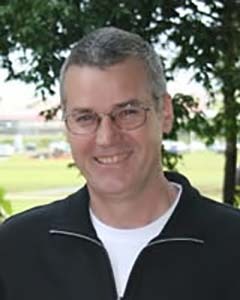 He is a Lieutenant Commander in the Navy Reserve, was appointed as an Adjunct Associate Professor at the University of the Sunshine Coast, lectures at the University of Queensland, sits on the Advisory Board of the World Conference on Disaster Management and is a co-founder and Chairman of Emergency Media and Public Affairs. In his spare time he runs Brisbane based consultancy Crisis Ready.